Lucia Leuci is presenting solo exhibition mamme cattive, bambini creoli (Bad mothers, creole kids) at Milan’s TILE project space, opening April 5 and running to April 29. The Bari-based artist will present a series of sculptures installed, arranged and then “modified by several actions” to create a surreal scene where “stories between parents and children are analyzed by the artist’s personal view”. Lucia Leuci, Rose’s Portrait (2015). Install view. Courtesy The Art Markets, Milano. 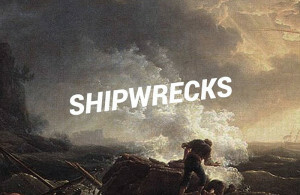 TILE project space is bringing the two-day event ‘Shipwrecks’, with Parasite 2.0 and Raumplan this week, running at the Milan space April 15 and April 16. The event, described as a “shrinking point where two groups of young architects with diametrically opposed approaches share their takes on the complex of today’s architectural practice”, presents this clash of visions as a means of expanding the scope of action beyond mere theoretics. The event’s first day, titled ‘Positions / Oppositions’, brings Ugo la Pietra and Matteo Ghidoni (San Rocco magazine), moderated by GIZMO, and the second day, titled ‘Points of View’, brings Parasite 2.0, Raumplan, and Fosbury Architecture, also moderated by GIZMO. Art Cologne is on in the week beginning April 13 with Kraupa-Tuskany Zeilder, KOW and Martin Van Zomeren being some of the participating galleries, Katja Novitskova, Daniel Keller and Slavs and Tatars among the artists being presented. Elsewhere in Germany, Ilja Karilampi is opening his HAUPTSTADTREVIER exhibition in Berlin, while Hannah Weinberger has a show opening in Hamburg. In London, Tenderbooks is showing books, pamphlets and zines by General Idea and AA Bronson, the latter of whom will also appear in conversation at Maureen Paley. Scene Two: The Street will present work and performances by Felix Melia and Agnes Varda among others at Flat Time House, Cally Spooner has an exhibition in Bristol and Anne DeBoer, Eloïse Bonneviot, Cécile B. Evans and Yuri Pattison will appear at Two Queens in Leicester to talk about their work. In Amsterdam, Yin Aiwen will present The Massage is the Medium at De Punt and Buenos Tiempos, Int.‘s Alberto García del Castillo is launching comedy-science-fiction novelette Retrospective. Lucy Clout, Jesse Darling, Takeshi Shiomitsu and Jesper Just are among the artists showing at New Shelter Plan in Denmark and Clement Valla is opening Surface Proxy at XPO Gallery in Paris. Anna-Sophie Berger has an exhibition opening in New York, and Daniel Rourke and Morehshin Allahyari are announcing The 3D Additivist Manifesto at Transfer Gallery. 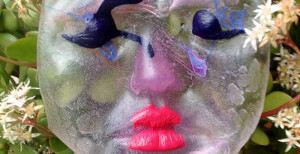 Header image: Pause Patina @ Camden Arts Centre.